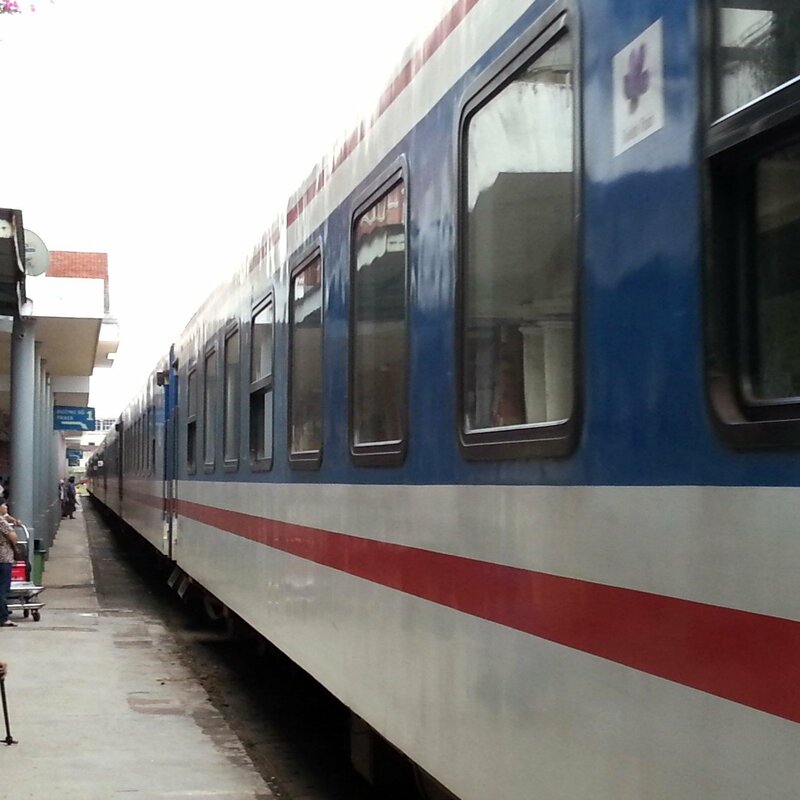 By train the journey from Hanoi to Nha Trang takes between 24 and 28 hours depending upon which train you take. Spending 1 night on the train is therefore unavoidable so you should book a sleeper berth. The best sleeper berths are on the Violette train carriages on the 19:30 and 22:20 departures. The fastest train service from Hanoi to Nha Trang is Train #SE1 which departs from Hanoi at 22:20 and is scheduled to arrive in Nha Trang 23 hours 59 minutes later at 22:19. The slowest of the train services is Train #SE9 departing at 14:30 and arriving in Hue at 18:19 the next day, a journey time of 27 hours 49 minutes. Use the Search Form to find your train tickets from Hanoi to Nha Trang. Nha Trang is a popular destination with both Vietnamese and foreign (particularly Russian) holidaymakers. The principle attraction is the 6 km long city centre beach which is safe for swimming and the town’s many inexpensive bars, restaurants and hotels. Nha Trang is a tourist town, however, Nha Trang also has some places of interest that people touring the country will be interested in. 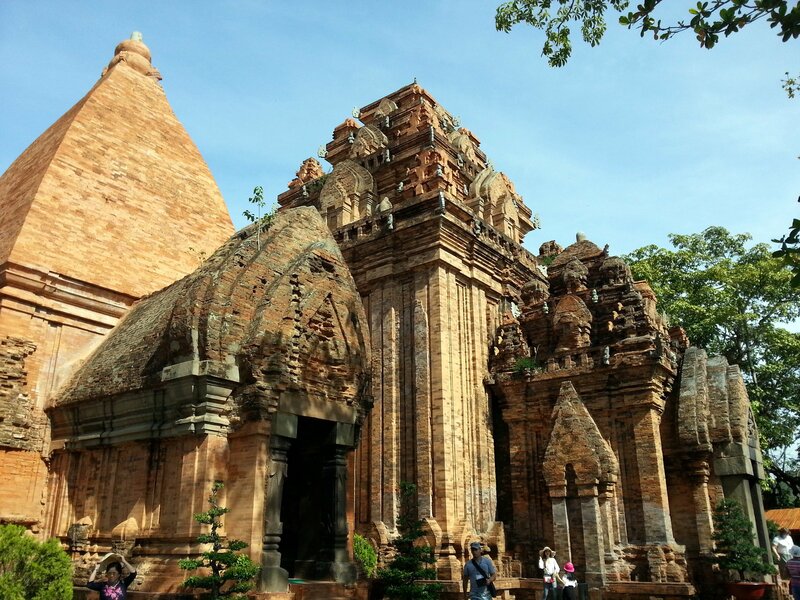 Nha Trang’s most important historical site is Po Nagar temple, known as Thap Ba to locals. Po Nagar is a Hindu temple built by the Cham who were the dominant ethnic group in much of South East Asia until around the 15th Cenutry. Po Nagar dates back to the 9th Century. The tallest of the four main towers at Po Nagar temple has an inscription which says it was built in 817 AD. From Po Nagar temple you also get a great of the Cai River estuary and the Tran Phu bridge. Also worth visiting in Nha Trang are Long Son Pagoda and Dam Market. Long Son Pagoda, which is near to the railway station, has a large hilltop statue of the Lord Buddha and some interesting smaller statues which you pass as you walk up the hill. From the top hill you get a panoramic view of Nha Trang City, and there is a really good vegetarian restaurant located near to the entrance to the temple which is one of the best places to eat in that part of the city. Dam Market is a Vietnamese market located on the other side of the railway station from Long Son Pagoda nearer to the beach. Dam Market was established in 1974 and is located within several iconic (but ugly) concrete buildings. A range of products including food, clothes and souvenirs type items are sold at Dam Market at prices which are negotiable.